BALTIMORE,MD) – (October 1, 2013)– Dr. Who takes over in the October issue of PREVIEWS featuring the exclusive plush version of the Doctor’s favorite companion, K-9. 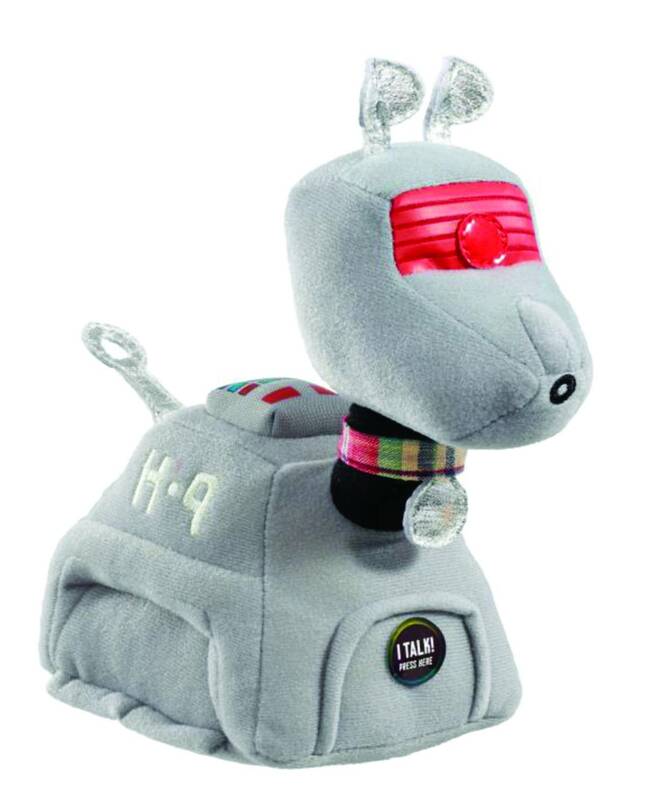 The dogbot from Underground Toys, can be pre-ordered now at your local comic book specialty shop, and is scheduled to release in early November, 2013. ABOUT UNDERGROUND TOYS- Formed in 2000, Underground Toys specializes in the creation, manufacturing, and distribution of mass, collector and art toys, as well as accessorises, gifts and novelties. With offices in London, San Diego, and Hong Kong Underground Toys work with many of the world’s top entertainment companies to merchandise their brands across many product categories including gift items, girls’ and boys’ toys, and adult collectibles. . Underground holds merchandise licenses for Star Wars, Doctor Who, Teenage Mutant Ninja Turtles, Anchorman, WWE, Sonic the Hedgehog, Game of Thrones, Hello Kitty, Thundercats, Ghostbusters, Star Trek and many more. © 2013 Diamond Comic Distributors, Inc. All rights reserved. Diamond, the Diamond logo, and PREVIEWS are either registered trademarks or trademarks of Diamond Comic Distributors in the United States and/or other countries. All other trademarks are the property of their respective copyright owners.